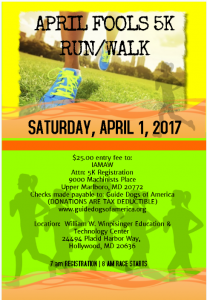 The IAM April Fools 5K is a perimeter trail at the William W. Winpisinger Education and Technology Center. This is not a timed event. Prizes will be award to the top overall male and female finishers.